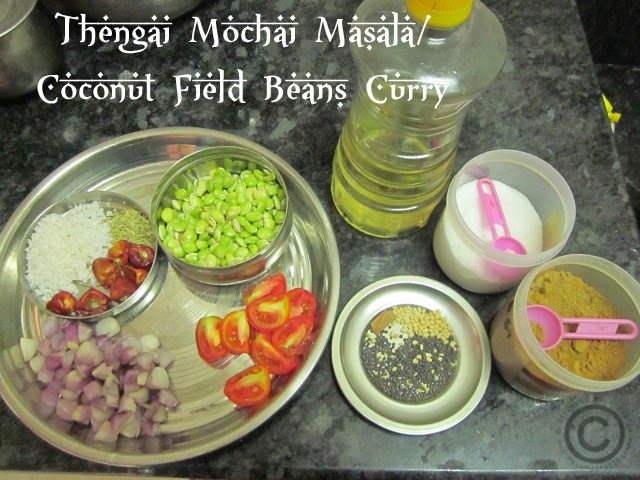 Hi friends, here is a simple yet delicious curry with pachai mochai/field beans. 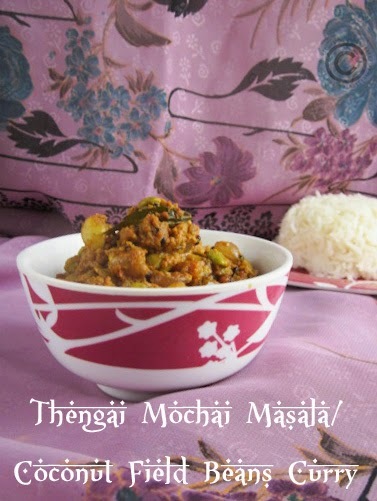 Now the mochai are available everywhere, and we used to prepare mochai kuzhambu, mochai curry or the coconut mochai masala. I love the coconut mochai curry more than the kuzhambu. 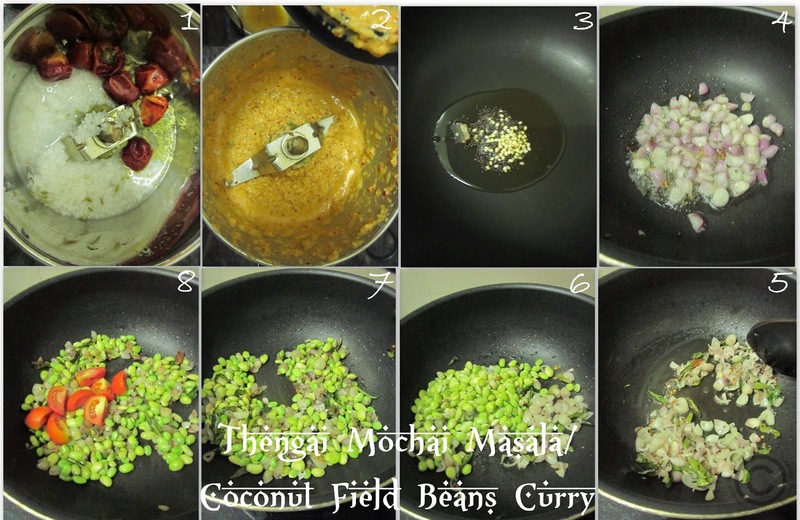 I post the recipe for Tamizhar Samayal Tuesday who is conducted by +Nalini akka from Nalinis Kitchen. 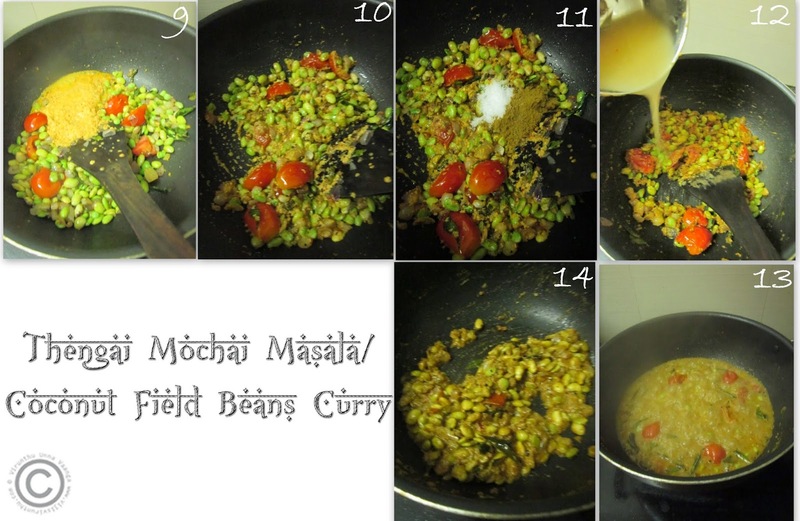 The mochai curry is easy to make, and you can prepare it on a pressure cooker to save time and gas. But I used open pot method, because my beans were very tender, so it takes less time to cook. 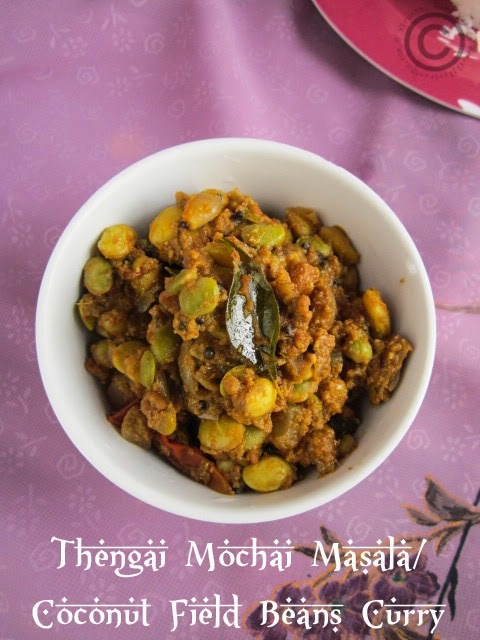 Great combo with plain rice and rasam. Grind the coconut, fennel seeds and red chillies with a little water into a coarse paste. Heat oil in a pan; add cinnamon, mustard and urad dal wait for sputter. Add shallots and curry leaves and saute it till translucent. Then add tomatoes and saute it till mushy. Add the ground paste and coriander powder with salt, saute it for 2 minutes. Pour 1 cup water stir it once and allow cooking for 15-20 minutes. When it gets dry stir it once and switch off the flame. You can add 3-5 garlic pods while grind the paste. You can add green chillies instead of red chillies to get the light color. Very Yummy and Delicious Curry!!! 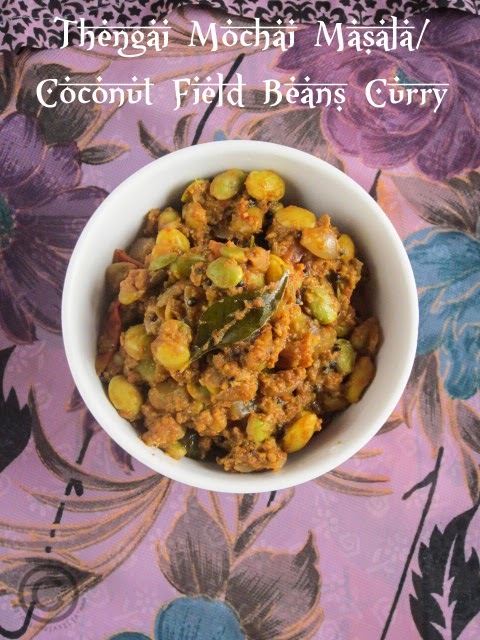 wow finger licking butter beans curry :) looks yumm dear and very delicious recipe !! lovely pictorials !! 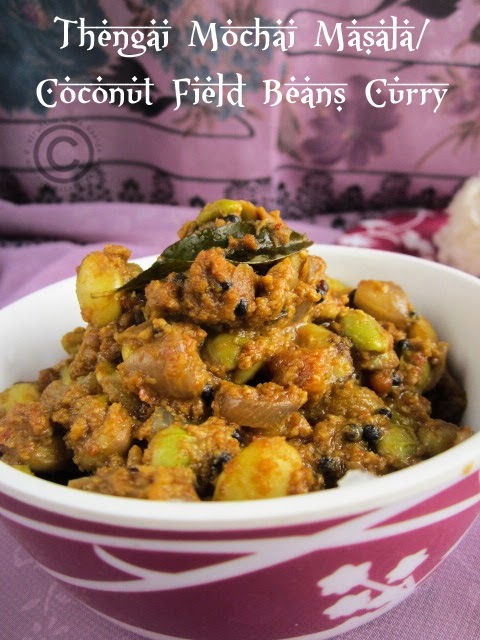 we make a similar masala with brinjal field beans combo, yours looks very yummy and inviting...lovely preparation da! looks very tempting and delicious..
Do we need to soak the mocha kottai before?